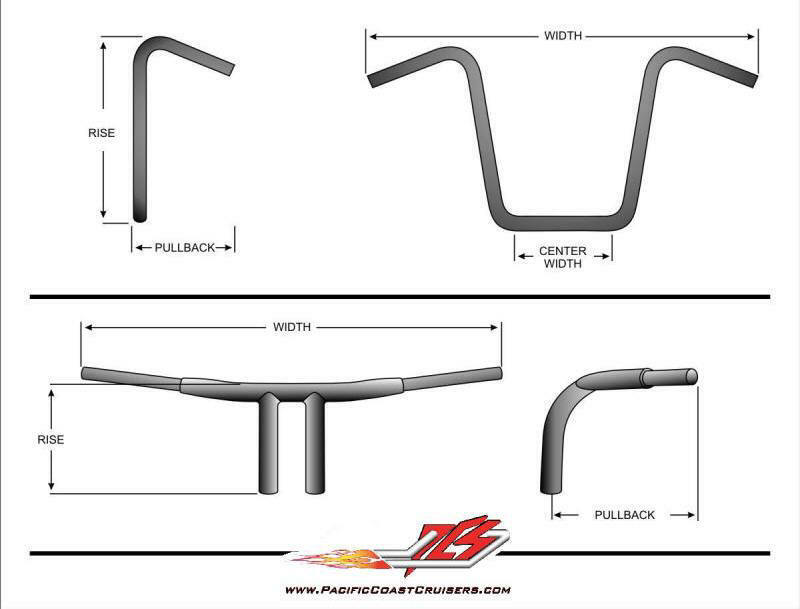 Below is information to help you determine how to measure rise and pullback when determining which bar to purchase. Rise and pullback is measured as if the bars are mounted to a flat surface (like a table top) and up against a vertical wall. Rise is the distance from the surface to the top of the bar and pullback is the measurement from the wall to the end of the bar. Center Width is important when determining if there is enough clearance side to side for a riser mounted speedometer or other necessities. Please call us with any questions on how to measure rise and pullback.